... by going on a picnic, making a trail, reading or re-reading one of her books and enjoying our Enid Blyton activities! 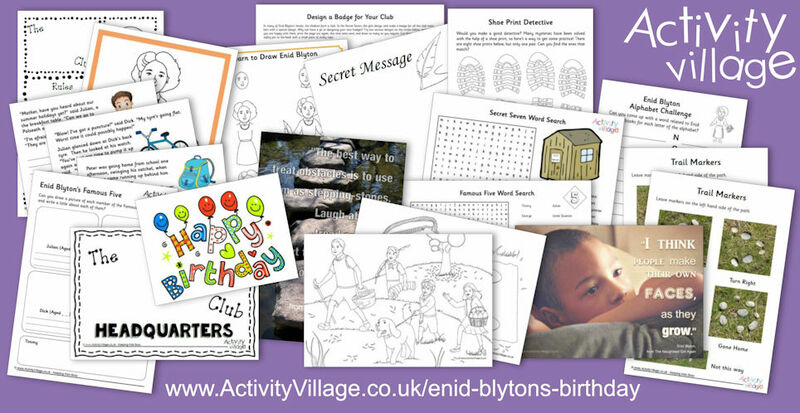 You can learn about Enid herself or choose from various Famous Five, Secret Seven and other "club" themed activities. Or why not get the kids interested in a coded message or two?